Glory Wade was a voracious reader, so much so that she read by flashlight under the covers after going to bed — as a child, that is. (No need to do that now–adulthood does have its perks!) Supersonic forward to now. She is editing Diamonds of Fury – Book One of the Ashes to Diamonds-Dead Husbands Never Looked So Good series – about a black widow (the two-legged kind) who marries, murders, then turns her husbands into diamonds for her collection. Her published credentials include short fiction; poetry; pet-oriented, event planning and jewelry articles; and a chapter in the Professional Meeting Management textbook. 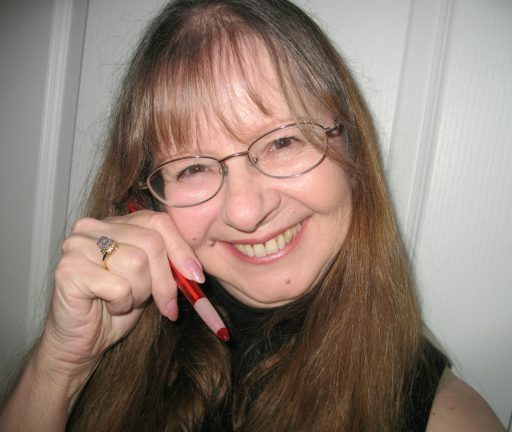 She also facilitates the Aliante Writers’ Group and is a member of Henderson Writers Group.